I used this on a cloth diaper to use as a burp towel. It was very nice and looks just like the picture. Love it! 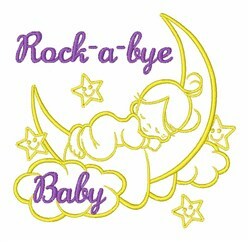 Sweet dreamer little girl sleeping on cresent moon. 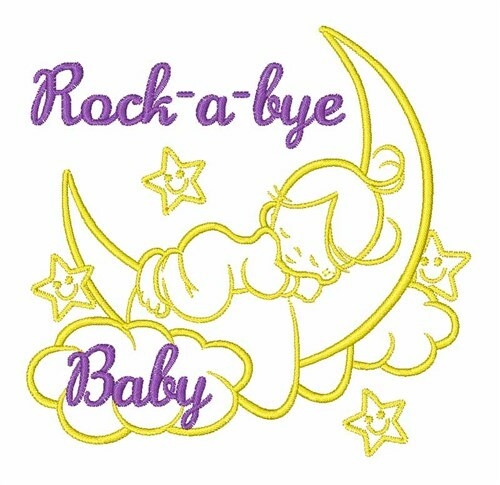 Satin Stitch is happy to present Rock a Bye Baby machine embroidery design which has 10824 stitches and is [101.79 mm x 98.10 mm] large. If you would like to view more embroidery patterns please search on our embroidery designs page.